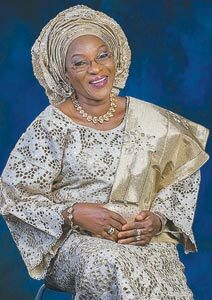 Chief (Mrs.) Olufunmilayo Ogunbadejo is the pioneer of Aso Oke in Nigeria, through one of the branches of Tisbee Nigeria Limited. With her style, she has carved a niche for herself in her choice of career. She took Aso Oke to a new level with her elegant brands. In this interview, she narrates how she started Aso Oke business with N15,000. Today, the business has expanded beyond the shores of Nigeria. She now exports Aso Oke.